The Chair of Space Technology of Technische Universität Berlin has a wide network of partners in the European space industry, which provides the Masters students with an opportunity to gain internship experience and establish valuable contacts during their studies. 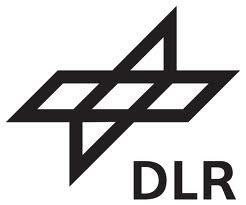 DLR is the national aeronautics and space research centre of the Federal Republic of Germany. Its extensive research and development work in aeronautics, space, energy, transport and security is integrated into national and international cooperative ventures. DLR has approximately 8000 employees at 16 locations in Germany. OHB System AG is one of the leading systems providers in the European aerospace sector. Its core business comprises developing low-orbiting and geostationary small satellites for navigation, communications, scientific research and earth observation. The company is developing and executing such key projects as the Galileo navigation satellites, the SARah reconnaissance system, the MTG meteorological satellites, the EnMAP environment satellite, the TET-1 technology testing vehicle and the HispaSat, ELECTRA and EDRS-C telecommunications satellites. Its manned space flight activities include the participation in the assembly and outfitting of the International Space Station ISS, the Columbus research laboratory and the ATV automatic transfer vehicle. The exploration segment works on studies and models for studying our solar system, primarily the moon and Mars. Active Space Technologies is a European based company operating in space, aeronautics, nuclear, defence, and industry. The company offers bespoke electro-mechanical systems for extreme harsh environments, such as instruments and mechanisms, actuators and wireless sensing systems. Active Space Technologies systems are qualified for high-g, high temperature radiation environments. Astro- und Feinwerktechnik Adlershof GmbH’s core competencies are the development, manufacture and testing of components and systems for the aerospace industry. The company has considerable expertise in the production of bus components for small and microsatellites, e.g. AOCS (such as reaction wheels, gyro systems, GPS receivers, AOCS test facilities and simulation software), power systems, mechanisms, structures and complete satellite systems. It also has comprehensive experience in the fields of optical and mechanical ground support equipment (OGSE and MGSE), as well as apparatus engineering for space applications, special scientific payloads and, in particular, optical and opto-electronic equipment. ASTRIONICS GmbH has developed a proprietary evaluation method based on commercial “on ground” manufacturing processes to provide components and electronic parts optimized to the growing space industry, considering in particular the needs of the so called NewSpace. ASTRIONICS’s tested and upgraded commercial (COTS) parts are called SpaceCOTSTM and available in a catalogue. If you would like to talk about any aspects of the MSE study programme, please send us a message or give us a call on +49 30 314 259 22.